Still, Pretty Good Year - Cursed To First - Sox and Pats forever. In the wake of this week's disappointing events for New England fans, and because we now find ourselves in that dismal desert between the Super Bowl and pitchers and catchers, I thought it might cheer us up to look back on the 2007 World Series. I'll be running Part I of this essay in two sections this week, the first tonight and the next one on Thursday. It’s the question I’ve been asked most as a Red Sox fan since the Red Sox won their second World Series in four years, and I know other Red Sox fans who’ve been asked as well. There are some who take offense to the question, who see it as either too prying, or who see it as the wrong way of looking at the events. To the extent that the comparison with hallowed names of the past will always be unfair to the current players, I can agree with that. But that unfair comparison was also present in 2004, in the historical burden the players bore for past generations. And at the time, I felt a compulsion to wrap my head around the context and meaning of it against the past a bit more thoroughly than I had in posts I wrote as things were happening, which is why I wrote the first Pretty Good Year. This time around, I think putting the two championships into context with each other is a natural reaction to two otherwise unprecedented events. It would be disingenuous to claim I haven’t thought about it. Call this sequel, at least in part, an attempt to address that question--how does it compare? Last time it was about the plot. This time it was about the characters. That’s the thing that struck me about this Red Sox team by the time they were going on dazzling win streaks in May, and I was thinking a thought that once had been a mantra, but now set off my superstitious alarm bells: this is the year. With the “Curse” baggage removed and the farm system engineered by Theo and Co. bearing fruit, the players and their varied personalities were becoming the focal point. We almost can’t keep track of them all—all the homegrown kids now dotting the field in Red Sox home whites on any given weeknight, when the designation of homegrown has historically entitled a player to Nomar Garciaparra or Trot Nixon levels of adoration. These ain’t your daddy’s Red Sox. We’d been hearing that all year, and it’s been liberally repeated in various forms by virtually every sportswriter on the planet since the Sox series win. Exhaustive repetition may make the idea considerably more irritating, but no less true. In their half-decade of steering the Good Ship Red Sox, this ownership and upper management group have preserved much about the culture and atmosphere around Yawkey Way, but otherwise turned the team’s historical practices upside down. At the time of the first victory in 2004, I wrote in several online venues that I’d be happy to see a “fallow period” now that the Duquette and Epstein eras had bridged to produce what I was sure was a once-in-a-lifetime mix of players. 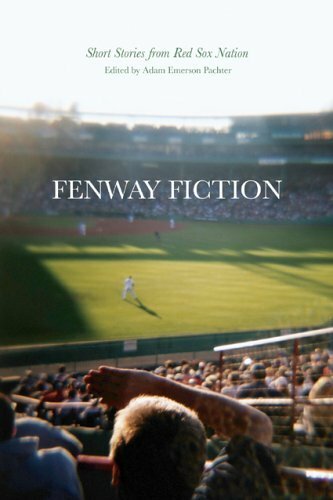 I wrote that for once, I’d like to see the Red Sox develop a farm system, and specifically a farm system with pitching prospects, and that I’d gladly sacrifice any hope at a World Series repeat in the next decade for the privilege of seeing it. Turns out I didn’t have to make the choice. I love it when my sports teams make me realize I’ve been thinking way too small. Like the Patriots this year, honing the game of football to heretofore unimagined levels of perfection. Like the Red Sox, when they intimated through the events of this season that 2004 might only have been the beginning. At the time of the first World Series for Henry et al, Theo filled in the gaps between superstars on the team with obscure or underestimated talent from the waiver wire and free agent market. The blockbuster trade of erstwhile hero Nomar Garciaparra netted two utility infield guys. Here's one major difference from 2004: where in that year our team chemistry seemed largely comprised of wily, irreverent veterans, this year the team personality that's starting to emerge is one of studious, serious young men. That ballpark is electric right now with the combined earnest intensity of guys like Youkilis, Papelbon, Daisuke, and yes, even Beckett--all brilliantly talented prospects slowly growing into full-fledged ballplayers right in front of our eyes. It's an intoxicating thing, but very different from three years ago. "I think you have to grow up quick," said Ellsbury, who turned 24 on Sept. 11. "There's not really a learning curve, especially when you're playing for an organization like the Red Sox. You're expected to go out there and perform right away." It’s true. But what they get in return is nothing short of worship from a baseball-mad public. Not necessarily bad work for a ballplayer with the right personality. And Theo has stocked the farm system with prospects who match not only the team’s technical, on-field goals, but who seem likely to thrive mentally if they’re called up. 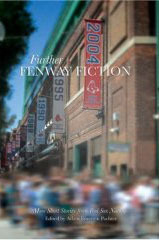 Thanks to the success of this system, the World Championship season of the 2007 Red Sox had a boost from the farm to see it through lean times, which was key to maintaining the best record in baseball, the division win for the first time in 15 years, and, of course, reaching the Promised Land once again. That’s not to say the 2007 Red Sox didn’t have their problems. In fact, this was one area of similarity between them and the 04 Sox: an infuriating middle season. An infusion of September callups including Ellsbury and Clay Buchholz would thankfully pull them out of that funk, and create new young legends in Boston. And, of course, there was Jon Lester. More on him later. As of this year, a careful balance of personal chemistry had come about in this era’s Red Sox clubhouse, in stark contrast to the Yawkey Era’s 25 guys in 25 cabs, and also in contrast to the irreverent, unpolished gang of 25 in 2004. That balance was centered on a precisely measured blend of these young pups, with players so veteran they’re more like pillars of the Red Sox community: Jason Varitek. Curt Schilling. Big Papi. One of the key elements of the 2007 Red Sox was the give and take between the graybeards and rookies, the former keeping the latter in line, and the latter keeping the former young. No two among the cast of characters are alike, but what they all have in common is that they are all bold, even larger-than-life, personalities. Take Papi for example. On my Champions Again DVD there’s bonus footage of Papi driving in a car, with a NESN camera and reporter riding shotgun. “Manny’s a little ‘oo-oo’”, he explains to the camera, with an accompanying hand gesture. He’s on television speaking to millions, but it feels like he’s personally taking you aside and telling you something just between you and him. It sounds corny, and it kind of is, but it feels like Big Papi genuinely likes the fans, and genuinely wants to explain things to them like what Manny’s damage is. 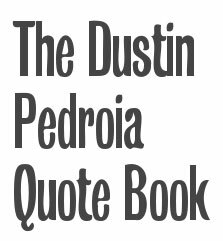 He’s one of those ideal Red Sox personalities who’s able to, for example, brush off the scrutiny of a camera and treat it as an opportunity to talk candidly to fans. In response, the fans worship him as a god. This year, as he played hurt and suffered what for him was a power outage at 35 home runs, I found a new depth of love for Papi I didn’t know existed. Moreover, while an ailing knee put a damper on his home-run stroke, Papi was actually a better hitter this year in many ways, refocusing on hitting for average and OBP, and doing so quite successfully, finishing the season at .332 / .445 / .621 in contrast to 2006’s .287 / .413 / .636. Most impressively, despite the injury, his OPS was the highest it’s ever been, at 1.066. Last year it was 1.049, only a slight difference, but in his legendary year of 2004, Ortiz’s OPS was almost a full point lower, at .983. To review: Papi played hurt all year and yet still continued the steady annual improvement that made him even more of a monster in 2007 than he was in 2004. Have I mentioned the love? Games four and five [of the 2004 ALCS] are Theo's masterpiece--at least thus far. Because if there's one thing his youth tells us without question, it's that we have not yet begun to plumb the depths of his talent. And that he can be with us a long time, for who knows how many opii, who knows how many miracle years. Now, after very nearly losing him during a terrible offseason episode in 2005, the franchise has seen him stick around to finish his baseball opus, this time choreographing not just the mix at the major league level but a multi-layered system of player development from high school prospects on up. He occupies a place in my mind right alongside any of my favorites in uniform, and so this season holds its own favorite memories of him, as well. Both of the memorable Theo moments that will come to my mind when I remember 2007 took place in his box high above the field, and were captured by NESN cameras in shadowy close-ups he didn’t know were happening. In those candid moments his usual façade of nonchalant confidence was completely shattered by the other side of him—the side he doesn’t make public, the side that’s fiercely competitive and so wrapped up in the fortunes of his players and his team that he sometimes matches their exuberance, fist-pump for fist-pump, when he thinks no one’s looking. The first of these moments that come to mind is Theo’s reaction to JD Drew’s home run the night the Sox hit four back to back against the Yankees. “Ohhhhh, my God…” he can be seen breathing aloud, watching the ball clear the center-field wall, perched over the chaos of the ballpark with a look on his face exactly like the one men get when they see an unbelievably attractive woman. The second Theo moment of reaction that stands out is, of course, his now-famous response to the completion of Buchholz’s no-hitter—a hollering “YEAH!”, fist-pumps galore, and a celebratory leap into the arms of one of his player-development execs, an echo of the way Buccholz was being held aloft by Jason Varitek on the field. Ultimately, it's those Theo moments that encapsulate the year for me--the GM, in 2004 a neophyte, by 2007 watching over his new charges a veteran team icon. It's close enough to 2004 that many of the same people who created that championship, like Theo, are still around, but their interplay with all the fresh faces, each of which have staked a claim to our hearts with dizzying speed, has altered the Red Sox landscape irrevocably, in just three turns of the Earth. Thanks for this, Beth- I needed some warm sports fuzzies after The Events of The Weekend. Oh my god, spring training's almost here. I have to be honest and play the shrink here for a sec, if I can be so presumptious. As a diehard Redsox fan I love thinking about P&Cs coming up real soon and the look back at our WS wins. 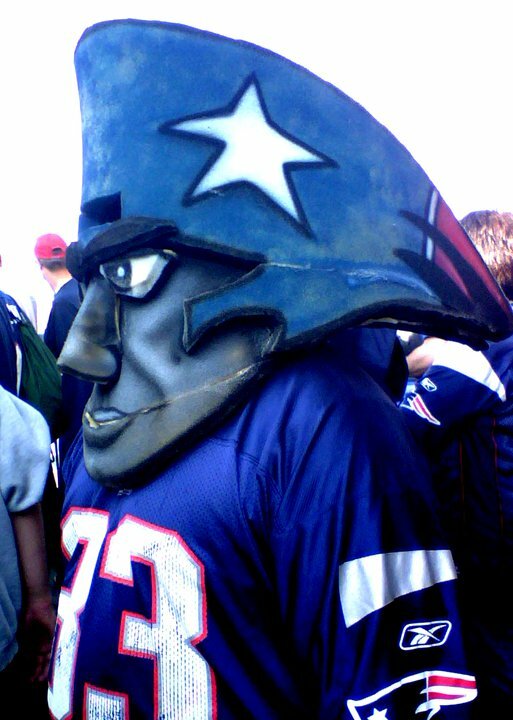 However, as a big fan of your writing I was actually looking forward to you letting all your feelings out about the Pats. Maybe it's too soon and you're still stunned, but don't hold it in - let us read about it. If I'm out of line, let me know but I was thinking after the Supe game that you are going to have quite a challenge galvenizing all your emotions to blog about it. Hope you're doing okay though. that was a tough one. My bad, Beth. I see your post on the Superbowl was via the link to another page and I just read it. Nice job.